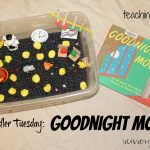 Happy Toddler Tuesday! Something a toddler should learn is their colors. Some naturally learn them through daily life or books and others need time to really learn them. My oldest son learned them naturally and my youngest son called everything green until I did some color activities with him. 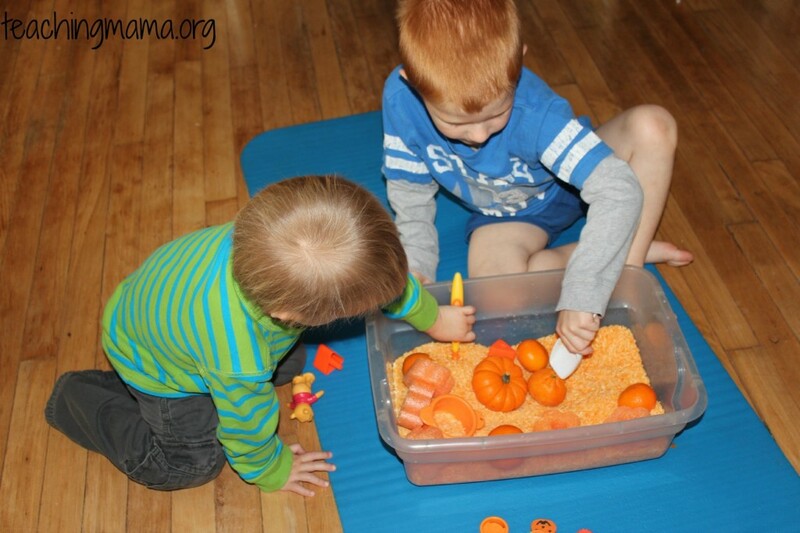 Today I am sharing one way you could teach toddlers to learn their colors. 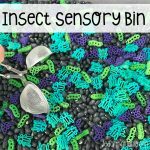 Toddlers love sensory bins, so I thought I would create a bin all with one color. 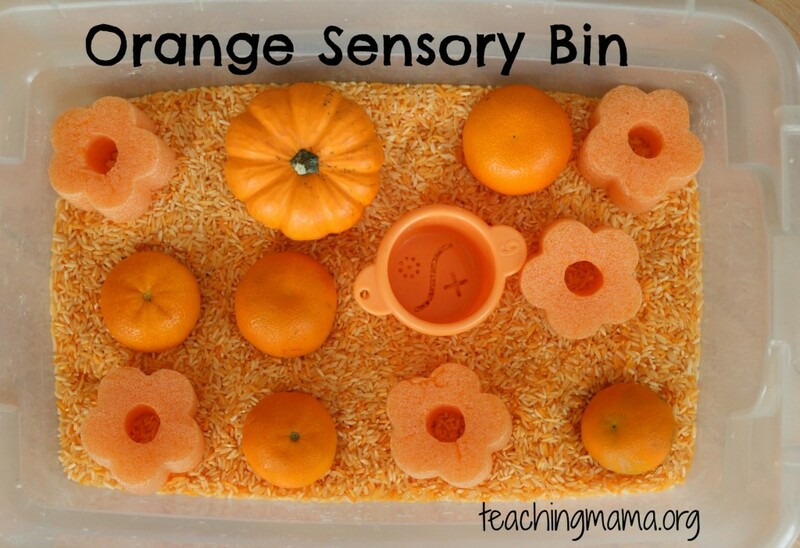 Today I am sharing our Orange Sensory Bin. 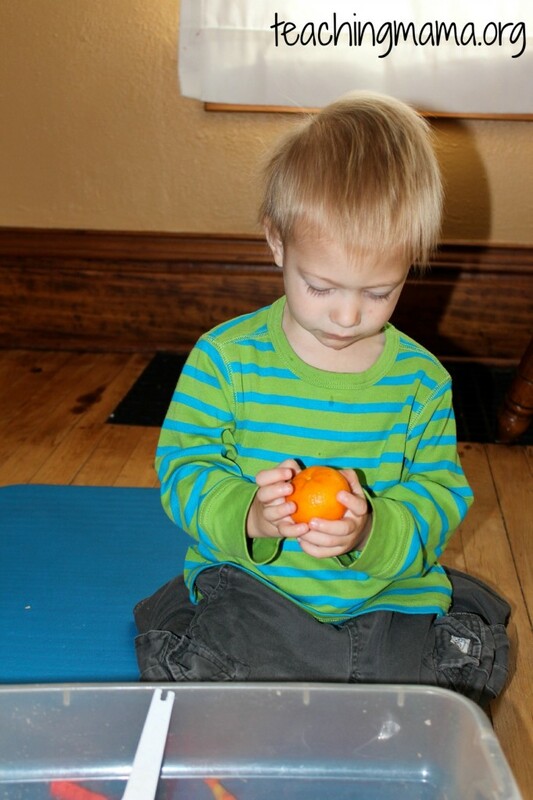 Since big brother is learning about the letter O this week, orange seemed like an appropriate color to learn this week. 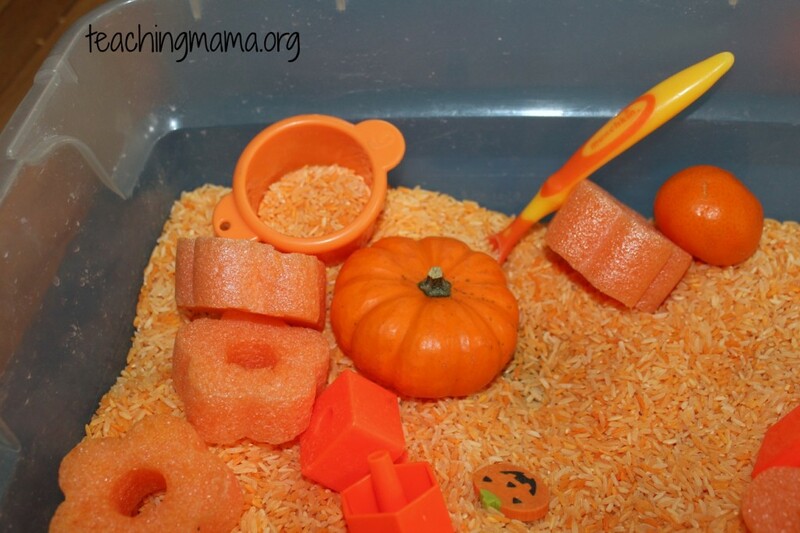 In this bin I put orange colored rice (see how to color rice here), small oranges, cut up pool noodle pieces, pumpkin, shapes, and cup. 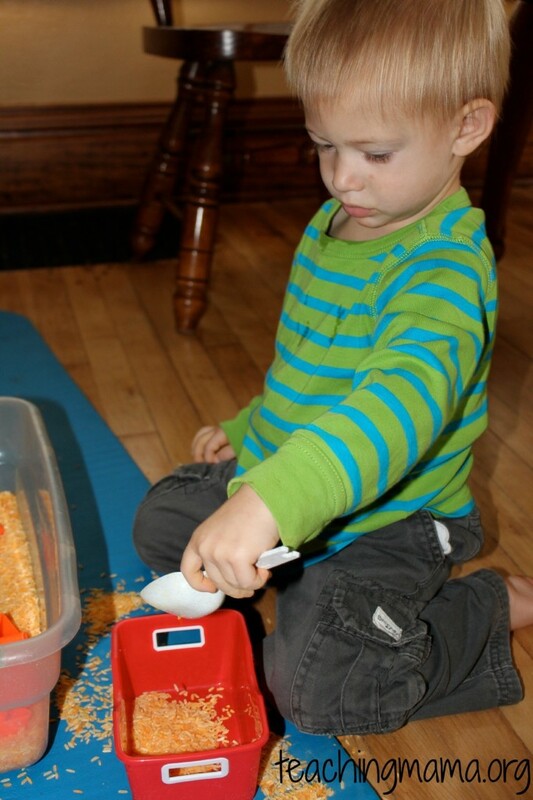 I also gave my boys spoons, bowls, and other tools to explore with. Their favorite part was eating the oranges. 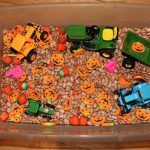 They gobbled those up in no time and that took care of snack time! 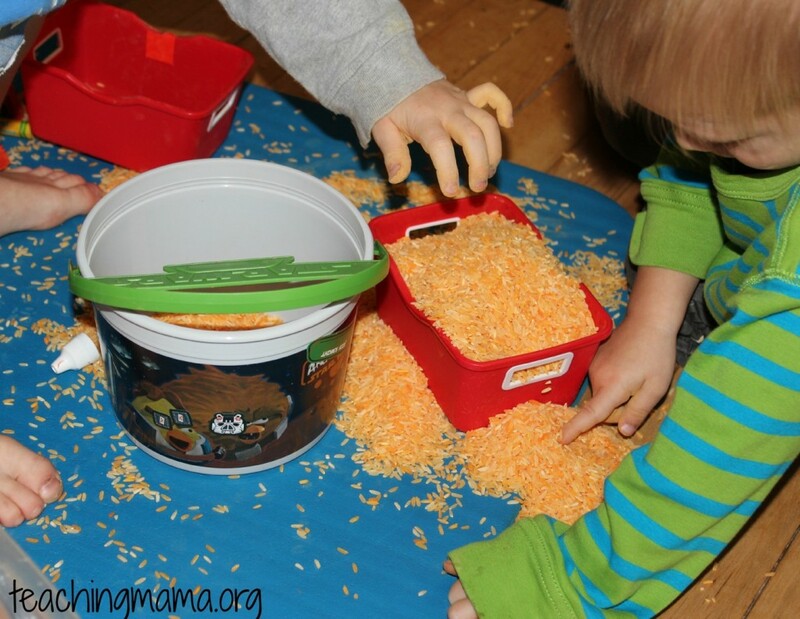 And I look away for a minute and they made a mess….usually I do this outside over a sheet but I thought I would try it on this mat. Yep. Next time I will go outside! HA! Though it may look like a simple activity, they played with it for about an hour. 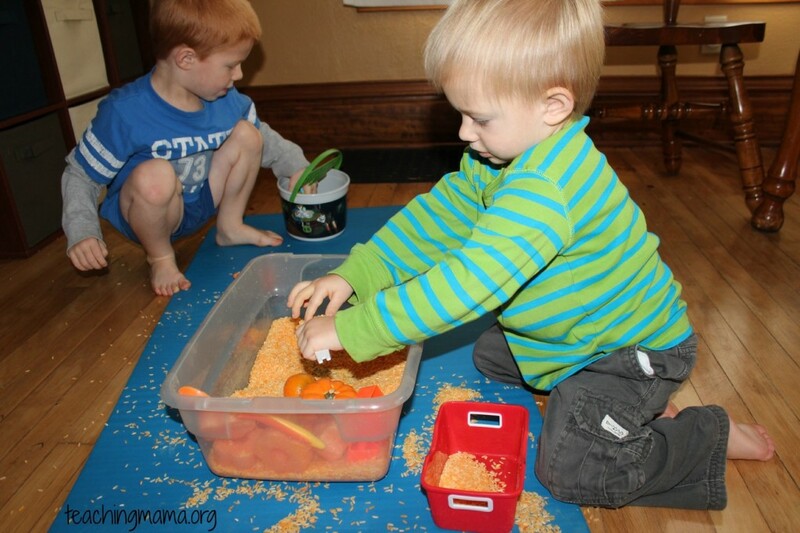 They love just being creative and making a mess! 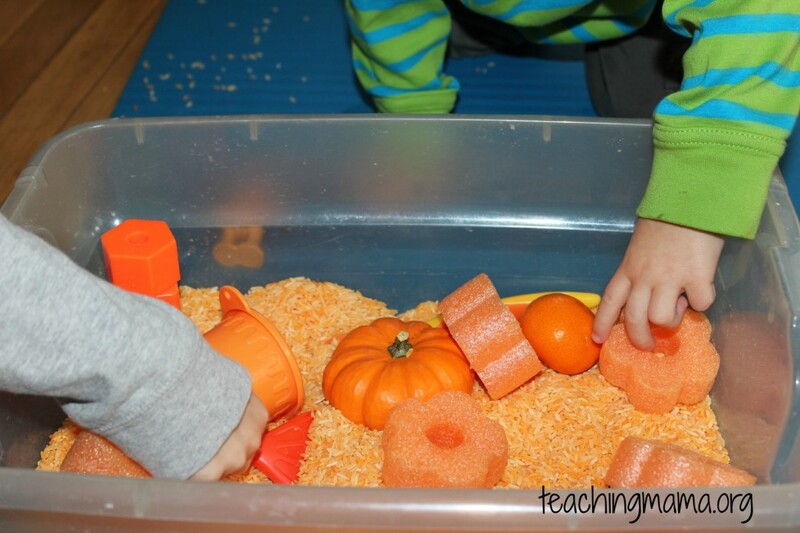 So if your child struggles with learning their colors, try creating a color-themed sensory bin! 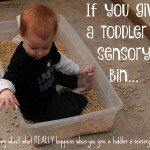 I’m always looking for new things to keep my toddler entertained and learning all at the same time! I love this idea, it seems like so much fun! 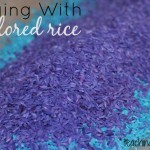 I instantly thought of “this will happen outside” when I saw the rice! Thanks for the great idea! 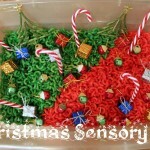 At the moment everything is green for my lil one too, so I will definitely be trying this!